Sharks, I’m looking at you! 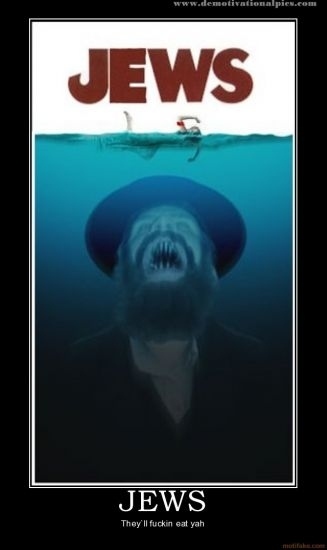 Clearly these narcing Sharks have never watched Munich — otherwise they’d know better than to mess with Mossad. This entry was posted in Uncategorized, Who's Giving Us a Bad Name This Week? and tagged Egypt, Mossad, movies, Munich, sharks. Bookmark the permalink.